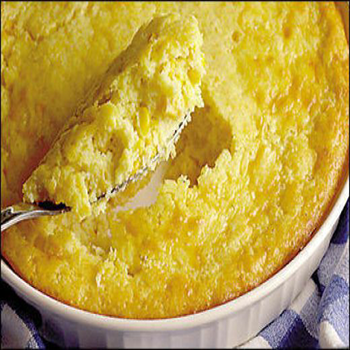 This is basically a moister cornbread, almost a cornbread pudding. Preheat oven to 400°; place pan to be used in oven to preheat as well. Beat eggs yolks in a separate bowl. Beat egg whites until stiff and set aside. Scald milk and pour over meal. Add cold water. Add sugar and shortening and beaten egg yolks. Fold in beaten egg whites. Pour into a well greased, hot, 1 quart baking dish. Bake 40 minutes at 400°.